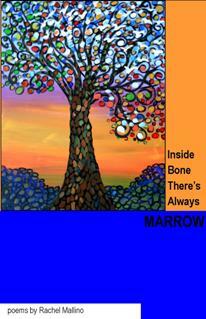 Rachel Mallino - "Inside Bone There's Always Marrow"
Rachel is Founder and Editor for Tilt Press and Administrator for ITWS, an online poetry workshop. Her work has appeared or is forthcoming in 42opus, BOXCAR Poetry Review, Pebble Lake Review, Weave Magazine, Memorious, Arsenic Lobster, Blue Fifth Review, Stirring, Lily, Clean Sheets, Melic Review, Triplopia, TRIM, Wicked Alice, Niederngasse, Poets Online, and others. Her poem "Knucklebone" placed in Sundress Publication's Best Of The Net 2006. She is the author of ANTI, a mini e-chap, published by Gold Wake Press in 2008, the author of Inside Bone There's Always Marrow (Maverick Duck Press, 2009, and most recently, 309.81 (Dancing Girl Press, 2011).